NAD, NADH, NADP and NADPH are important cofactors in cells. AAT Bioquest Amplite™ NAD(P)/NAD(P)H assay kits have very low background since they are performed in a longer wavelength range that considerably reduces the interference resulted from biological samples. They have demonstrated high selectivity and enhanced sensitivity. Our kits enable the detection of NAD, NADH, NADP & NADPH by either using fluorimetric assay mode or colorimetric assay mode. Screening activities of enzymes (such as a variety of dehydro- genases and reductases). Broad applications, can be used for quantifying NAD(P)/NAD(P)H in solutions and in cell extracts. Sensitive, detect as low as 1 μM of NAD(P)/NAD(P)H.
Convenient, no wash is required. 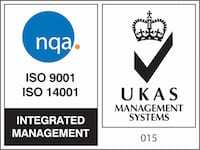 Non-radioactive, no special requirements for waste treatment. Figure 1. 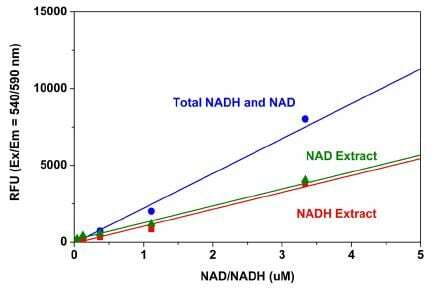 Total NAD/NADH, and their extract dose responses were measured with Amplite™ NAD/NADH Ratio Assay Kit in a black 96-well plate using a Gemini microplate reader (Molecular Devices). Figure 2. NADPH/NADP dose responses were measured with Amplite™ NADPH Assay Kit in a black 96-well plate using a NOVOstar microplate reader (BMG Labtech). 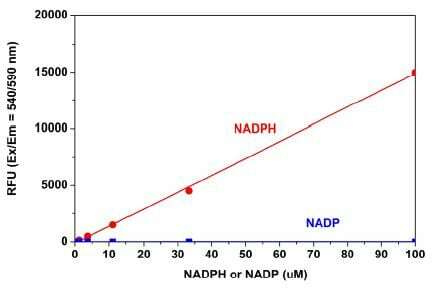 As low as 1µM (100 pmol/well) of NADPH can be detected with 1 hour incubation (n=3) while there is no response from NADP.